Whether you need to add more storage space to your bathroom or simply wish to jazz up your master bath, adding cabinets is an easy way to achieve your goals. Bathroom cabinets come in a wide variety of sizes and materials, and you are sure to find the perfect storage solution for your home. Take a Look – First, you need to see what is available. Browse magazines and websites to see some of the myriad choices. The photographs will give you a sense of what fits your design scheme and the articles will let you know which choices will blend well with your lifestyle. Style – The main styles of bathroom cabinetry include vanities (a combination of sink, countertop, and cabinet), floor cabinets (units which rest on the floor), wall mounted cabinets (such as over the toilet cabinets), and a mishmash consisting of everything else (clothes hanging cabinets, built in hampers, etc.). 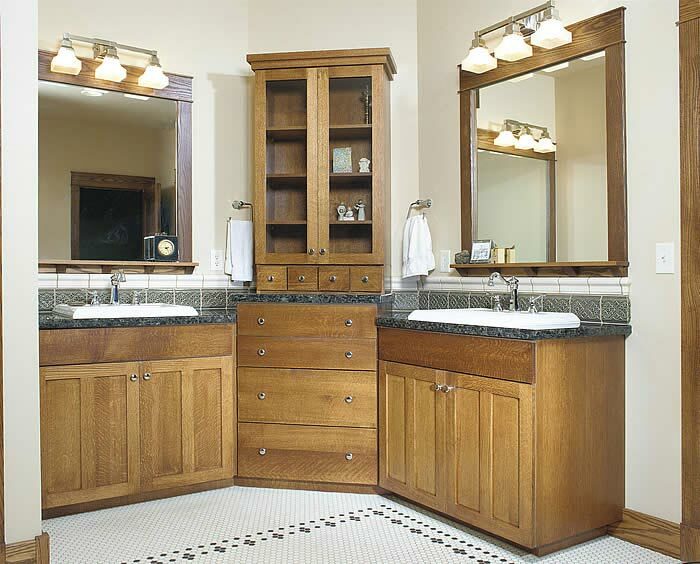 Materials – Bathroom cabinets and vanities are made with many different types of materials. The choices include classic wood, bamboo, wicker, glass, composites, and even heavier materials such as porcelain. The choice of cabinet material can make as much of a statement as any other style choice. Trends – Be sure to take a look at both the current trends and the up and coming trends. The popularity of new ideas often means that these items are more useful than many older choices. Do your research and think about what is right for you and your home. Whatever your current style or desired new style, there is sure to be perfect cabinet choices for you. With just a little research, and perhaps some professional advice, choosing new cabinets for your home should be easy and painless.